PBS LearningMedia’s theme this week is Full STEAM [Science, Technology, Engineering, ARTS, Mathematics] Ahead! In support of National Arts in Education Week, these resources help teachers bring the creative arts into STEM curriculum. For example, do you remember growing up reading pop-up books? 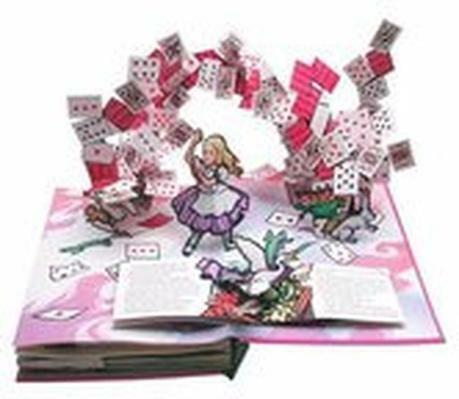 Pop-ups, or three dimensional, moveable books that rely on intricate and innovative paper engineering, are wonderful “devices” to engage learners (grades 3-12) in reading and spark their imagination off the page. Matthew Reinhart and Robert Sabuda have been at the forefront of the explosion in the popularity of pop-ups. Their books have included Alice in Wonderland, The Movable Mother Goose and The Wizard of Oz. In this story, Matthew gives a behind-the-scenes look at their Manhattan studio, and shows how the creative process starts, giving an example from his book series on prehistoric creatures. Show your students how STEM principles and art connect in the real world!